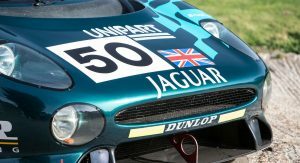 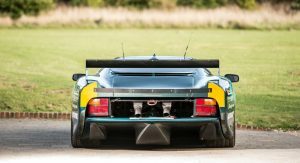 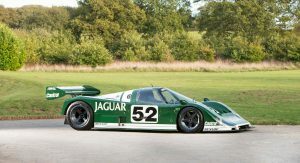 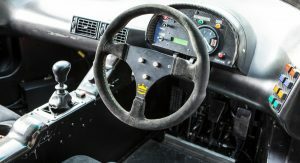 A couple of months ago, we brought you an auction listing for a 1990 Jaguar XJR-11 Group C racing prototype, and said we’d rather have that over an XJ220. 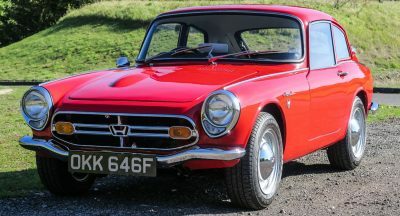 But now the same auction house has made our decision a little harder. 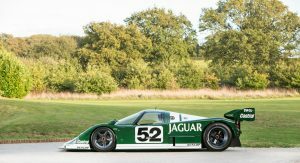 After that XJR-11 sold for £1,191,000 (about $1.5 million) at the Goodwood Revival in early September, Bonhams has now revealed the consignment of two more vintage Jaguar racers: a 1985 XJR-6, and a 1993 XJ220-C. And we’d be hard-pressed to choose between the two. 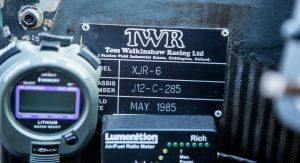 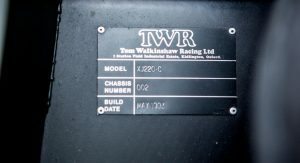 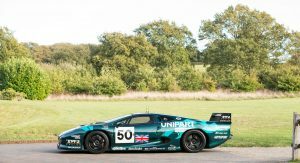 The precursor to the XJR-11, the XJR-6 was developed by Tom Walkinshaw Racing – the same outfit with which the factory would later partner to form Jaguar Sport and develop the XJ220. 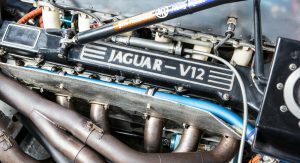 It was built around a carbon-fiber monocoque – still a new technology at the time – and packed a 6.2-liter V12 good for some 650 horsepower. 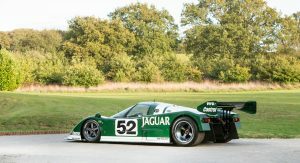 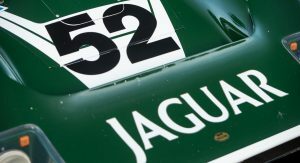 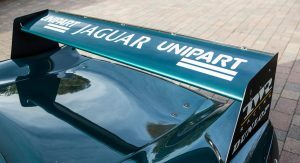 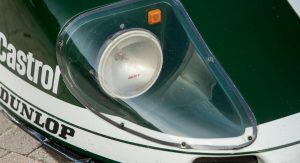 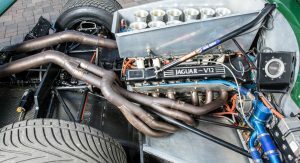 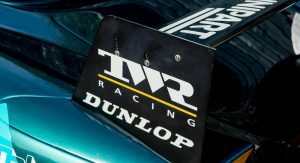 Only six examples were made before TWR moved on to the XJR-8 (with American outfit Group 44 developing the XJR-7 for IMSA competition), leaving the XJR-6 as a rather rare piece of Jaguar racing history. 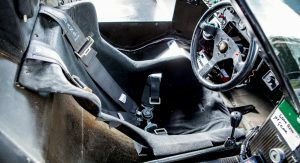 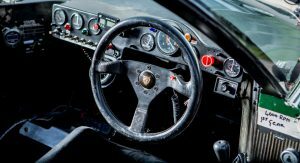 Though this appears to be a different example, another of the same rather remarkably beat the Group C-dominating Porsches in the Silverstone 1000-km endurance race in ’86. 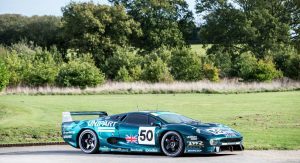 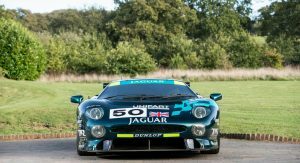 At least as tempting is the XJ220-C – the racing version of the landmark road-going supercar built (again by TWR) initially to compete in Group B (before the class was scrapped) and then in the GT classes. 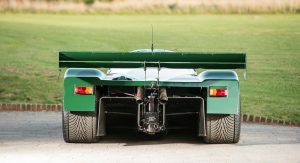 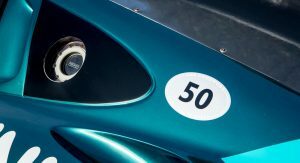 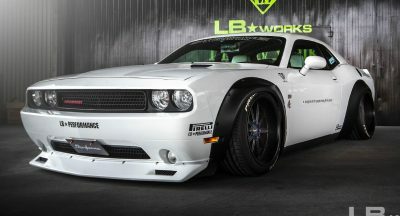 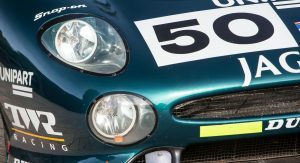 Only nine examples were made, with carbon-fiber bodywork replacing most of the production aluminum panels, and other race-specific components. 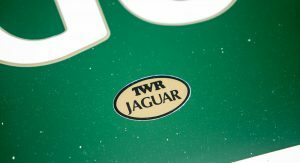 The auctioneer has yet to release the catalog descriptions. 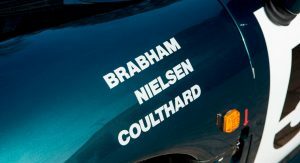 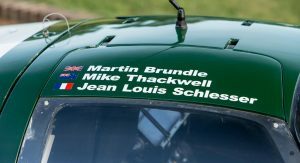 But judging by the names painted on the roof above the door, this would appear to be the very one in which David Coulthard, David Brabham, and John Nielsen initially won the GT class at Le Mans in 1993, only to be disqualified after failing to meet post-racing scrutineering due to its lack of catalytic converters. 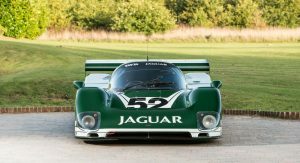 Bonhams expects each to sell for about £2.2-2.8 million (~$2.9-3.7m) when the gavel drops at its Bond Street sale in London on December 1. 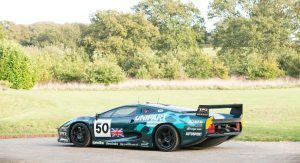 Given the means and the opportunity, we’re frankly not sure which we’d sooner bid on. 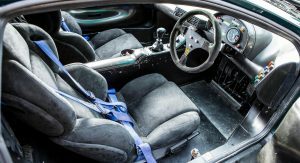 But that’s a tough decision that we’d like to have to make.